The last time these will be available! 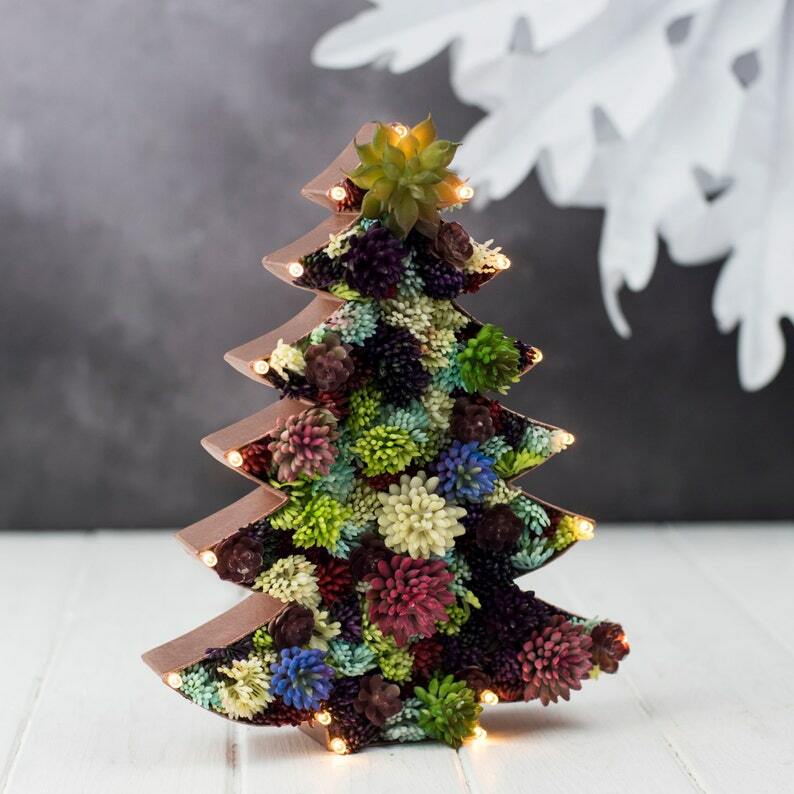 A stunning addition to our range of light up letters, these artificial succulent trees are for life, not just for Christmas! 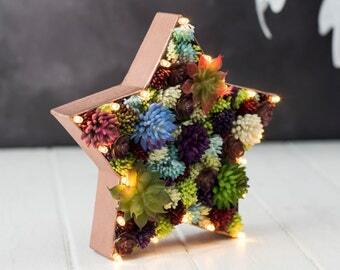 Each tree is filled with high quality, artificial succulents and up to 20 warm white battery operated LED fairy lights. Lights have a guaranteed lifetime of 30,000 hours and are powered by 3xAA batteries (included).